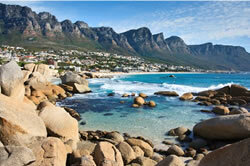 Situated on the tip of the African Continent, South Africa is roughly the size of Spain and France combined. Exceptionally diverse for a country of its size, South Africa is like "the world in one country" and contains within its borders scenic attractions from the dramatic, arid landscapes of the northwest to the forest-fringed coastline of the Garden Route; from the flat, dry Karoo interior to the craggy Drakensberg Mountains in the east; from the manicured vineyards of the Cape, to the flower fields of Namaqualand and the bushveld of the Kruger National Park. 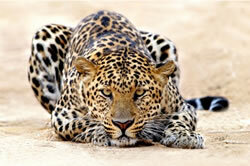 Blue skies, big game safaris, wilderness areas, and the promise of a sun-drenched beach holiday are what draw most visitors to South Africa. 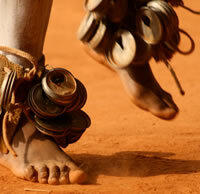 But the cultural diversity and the warmth and spirit of the people make it an even more inspiring place to explore. And yet it's the South African people that make it such an intriguing country. The "rainbow people of God" is how Archbishop Emeritus Desmond Tutu described South Africans - this conglomeration of beliefs, traditions and heritages sharing a country of breathtaking natural wonders. 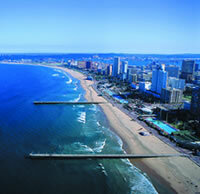 South Africa has three capitals: Pretoria, Cape Town and Bloemfontein. Johannesburg is the largest industrial, financial and cultural centre and Cape Town and Durban are renowned holiday playgrounds. Other cities of a historical and cultural significance are Pietermaritzburg, Grahamstown, Graaff-Reinet, Port Elizabeth, East London, Kimberley and Stellenbosch. The population numbers some 50,587,000 inhabitants. 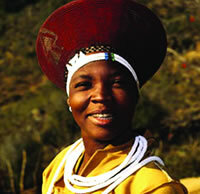 There are eleven official languages in South Africa, although English is spoken throughout the country. For more information, please visit www.southafrica.net.